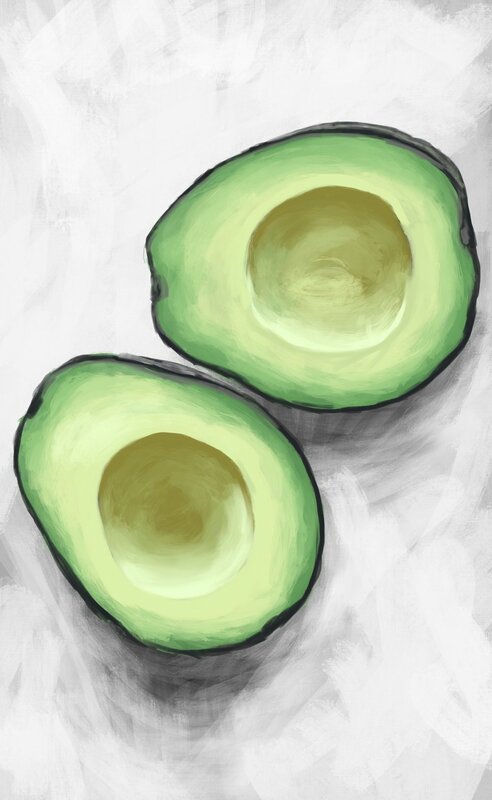 Last Sunday I sat with Caroline in the park painting avocados on my iPad. 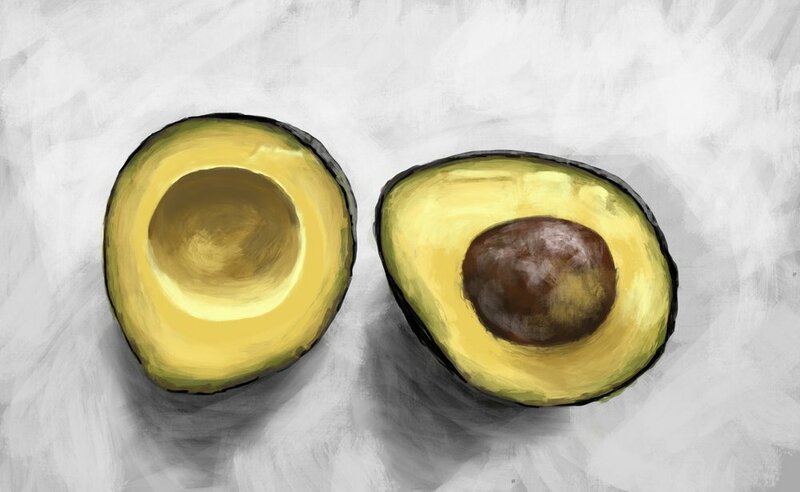 Avocados might be the most fun fruit to paint. They have interesting ranges of color and texture and while all avocados look like avocados, no two look alike. We were spending a little time together, enjoying the weather, enjoying a wine in a can. As you do. I suppose doodling in a sketchbook would be similar - but I really like the portability of drawing and painting on a tablet computer. The interesting side effect is one of de-isolation. I could sit with my wife and paint while we chatted. She has joined me while I’ve painted before. I paint in our spare bedroom on a small table, with a drop cloth beneath. But she can’t sit with me. She sits on the couch across from me and reads a book. That’s nice too but it’s not quite the same. When I paint on the train to work in the mornings people strike up conversations. A lot of folks want advice on buying their kids an iPad to paint on. This is fine. I’m happy to help (and to clarify which model they need to get and the real cost and the cost of apps). Something, I think, about the iPad makes it more accessible to other people. People might not have an iPad but they probably have a smartphone and they know how that works and an iPad is just a big smartphone right? I stood up a painting kit in the park to paint plein air I’m sure someone would pop in and ask a question. But that’s so anachronistic and, frankly, stunty, that I wonder if it would bring people together the same way.